A dystopian future is near—cue the sad violin. This future sees customers walking down empty sidewalks, barren stores aligning the pavement, not a single retail shop in sight. This looming doom seems within view for many retailers, a world plagued by online shopping—the death of the brick-and-mortar. The fear is potent and rightfully so. Many retailers have shuttered all or many stores—RadioShack, Aeropostale, Payless, and Sears just to name a few. In the not-so-distant past, the purpose of the retail store was a simple exchange of give and take. Stores provided the merchandise, the customer bought it and everyone was happy. In today’s world, however; brick-and-mortar stores represent more than a location to conduct transactions. They have become the physical embodiment of a brand—the essence. The times are definitely changing, but rather than wave the white flag, retailers must rise up to the challenge and welcome online shopping, seeing it not as foe but friend. Brick-and-mortars aren’t dying but rather evolving; the physical store of any retailer is still the single most important element in the buyer’s journey. These numbers bode well for retailers but getting comfortable in a perpetually changing climate can be a dangerous thing. The distance between consumers and stores is widening, closing this gap is crucial to the success of any shop. Retailers now must put just as much effort into the experience as they do into the sell. How does one go about restoring the relationship? In order to find a solution, one must first isolate the problem. Where in the customer’s journey is there friction? And what is the best experience to provide in order to reduce this friction? Creating the right experience, through consideration, purchase or usage can facilitate the buying process. Defining the specific purpose that stores now have is the key to retail success. Building powerful experiences that bridge the gap between shopper and retailer. 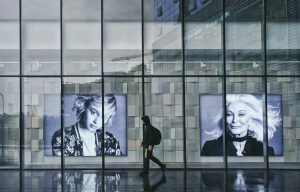 Many retail brands have found success in creating just that—reaping the benefits along the way. trial remains one of the most tried and true ways of driving serious purchases, particularly with big-ticket items. The question for retailers then is how do you draw customers in to try products? Take furniture giant IKEA. Although it has successfully established itself as the furniture and décor go-to for many, even loyal customers are sometimes hesitant to rely on them for quality appliances. 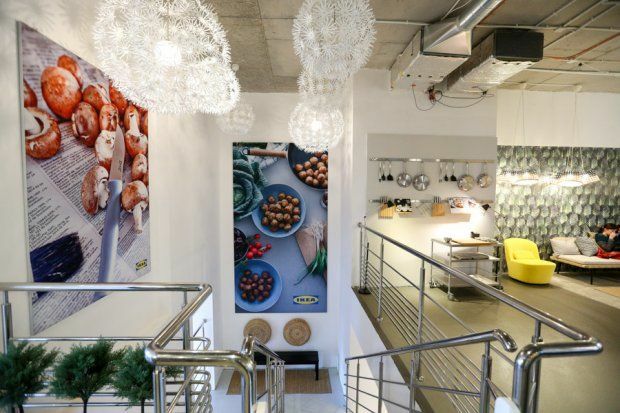 In order to solve this problem, IKEA Warsaw welcomes customers to book their two-storey kitchen for free. There they can cook and host private events. The apartment-like facilities are fully stocked with all the tools and instruments necessary to throw big parties. At almost 2,000 sq. ft., the space resembles more a celebrity loft than a rental “party room,” boasting two large kitchens, two dining rooms, and a children’s unit. 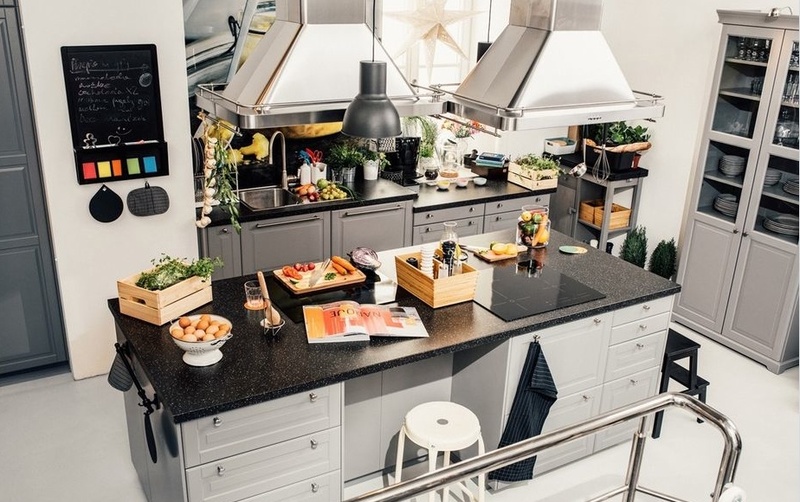 This ‘try before you buy’ approach successfully allows IKEA customers to get a feel of the appliances before purchase, eliminating skepticism—reducing friction. Another example of bridging the gap through consideration is German chocolate maker Ritter Sport. Consumers perceived its competitors Milka and Lindt as better, both in quality and overall allure. Compared to its competitors, Ritter Sport’s advertising was minimal; this resulted in indifferent consumer sentiments towards the brand. 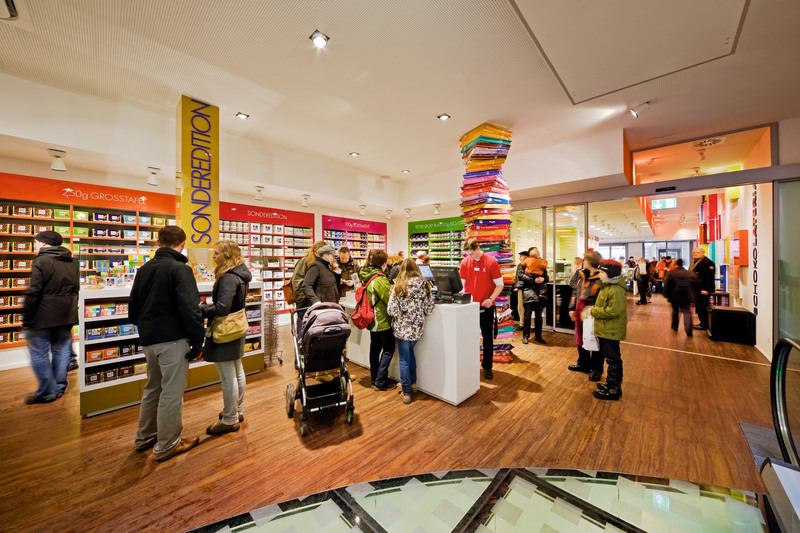 In 2010, Ritter Sport launched “Colourful ChocoWorld” in Berlin. Taking three floors and about 10,000 sq. ft. of space, their chocolate-shop allowed people to create their very own chocolate bars using a variety of ingredients, from coconut crisps to red peppercorn. The shop gave children the opportunity to make their own chocolate and design its packaging. In addition, an engaging exhibition allowed visitors to see, smell, hear, taste, touch and ultimately explore the world of chocolate. Involving the customer in the actual chocolate-making process allowed them to feel more connected with the brand, driving brand loyalty. For consumers, the final steps prior to purchase can be the hardest ones to take. Buyer’s hesitation can come down to a lot of things. By properly identifying key friction points in their customer’s journey, these retailers found retail success by pinpointing exactly what was impeding their consumers from taking those final steps to purchase. Recognizing that its customers can buy its products anywhere, super brand Nike offers customers a customized ‘Nike’ experience designed to guide shoppers to the right Nike shoe. Standing at five-stories tall and covering 55,000 sq. ft. Nike’s Soho location has made itself an experience in its own-right. At this location sales rep will devote an entire hour to helping you, showcasing innovations like self-lacing shoes. The technology alone is a showstopper. There are specialized treadmills that track your running and stride patterns to match you with the perfect shoe. Once you’ve bought the shoes, you can also head over to their basketball court where you can try them out for yourself with a trainer. 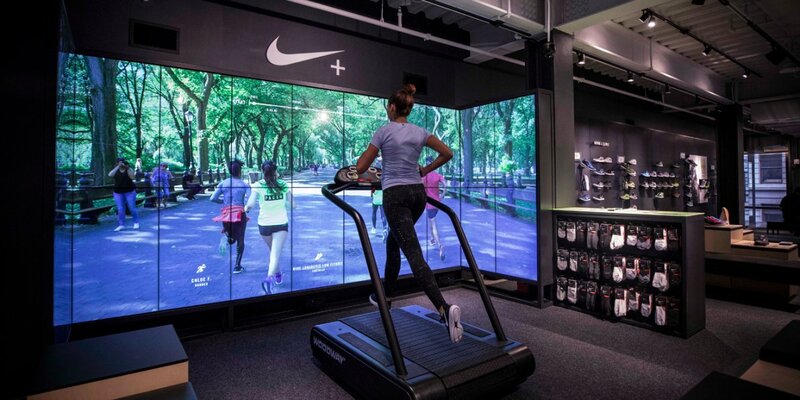 A majority of what Nike sells is sold online; the store itself is just a meaningful brand experience, an interactive piece of media. The store helps customers over that final hurdle before purchase. Montreal based online menswear retailer Frank and Oak found itself on the opposite end of the spectrum. Founded in 2012 as an online menswear company, the retailer quickly realized that potential customers were shying away from their apparel. Although customers loved the brand and its products they were hesitant to buy online because they weren’t sure if the clothes they liked on-screen would fit them in real life. Recognizing this bump in the road, Frank and Oak subsequently began opening physical stores. The stores themselves were less about selling the products and more about showcasing them. The shift was created to address customer concerns. Finding the right size and fit can be a daunting task, finding it online can seem near impossible. In order to address this, Frank and Oak focused their attention on facilitating the buying process—helping shoppers find the right fit through in-store services. Helpful and knowledgeable staff are always available in-store, stylists can be booked in advance along with change rooms. These services allow customers to confidently shop either in-store or online. Sometimes a store’s most important role is the post-purchase experience. Having pioneered the notion of the brand environment, Apple has taken customer service to an unprecedented level. This explains why they arguably have some of the most loyal customers around. 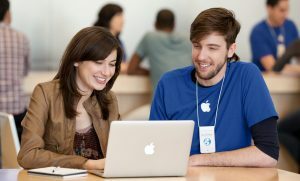 They’ve facilitated the buyer’s journey by providing tools and programs that enable consumers to test and get the most out of their Apple products. For example, they host a variety of programs including coding lessons for kids, teaching teachers how to incorporate technology into classrooms and iPhone photography classes. Through welcoming and encouraging environments, they build brand loyalty, which results in high customer retention rates. Like Apple, Lexus is all about the experience. Going beyond usage, taking customer service to the next level, Lexus recognizes that the relationship between a dealership and a customer does not end at purchase. Lexus has done the math and knows that it’s 7 times less expensive and 50 percent more probable to sell to an existing customer than a new one. Lexus’s Austin dealership offers customers a first-class experience when it comes to routine maintenance. Offering everything from artisanal coffee and cookies to free-Wi-Fi, their Austin location makes getting your oil changed ridiculously enjoyable. With this in mind, they ensure customer satisfaction through excellent customer service. Almost half of Lexus Austin’s customers return to the dealership when it’s time to buy their next car. The Lululemon store on Queen Street West in Toronto is a prime example of helping yourself by helping others. 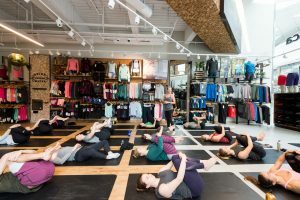 More then an apparel shop, Lululemon is a juice and coffee bar, a yoga and dance studio and an art gallery. It offers beer-meets-yoga events hosted by microbreweries and welcomes the public to come and try their free Vinyasa yoga classes. All these brands create in-store user experiences that drive loyalty and repeat purchase. Apple, Lexus, and Lululemon have taken their retail approach to the next level. Their stores focus on creating the best possible pre and post-purchase experience cementing brand loyalty and driving repeat purchases. A store needs to be more than just a place to shop; Ritter Sport, IKEA, Nike, Frank & Oak, Apple, Lexus, and Lululemon have recognized this. Brick-and-mortars have now become stationary ambassadors for brands, working in conjunction with online shopping. They are the means to deliver memorable brand experiences, solidifying relationships and cementing loyalties. 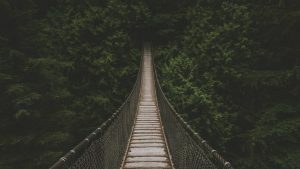 Identifying critical points of friction in the buyer’s journey is the single most important aspect in determining the right experience to create. Whatever the friction, a retailer must see these bumps in the road as opportunities.In order to flourish, the brick-and-mortar must change with the times, it must evolve. Darwin’s theory rings true even in the retail world, only the fittest and in this case most engaging and innovative will survive.